C. Jane Kendrick: Please Come To My Massive Party! Please Come To My Massive Party! I am often asked, "How did the Rooftop Concert Series get started?" And there are a many ways to answer that, but I want to write down the moment it started for me. I was in my car, sitting at a stoplight on Center Street and 9th East, headed home after a meeting about downtown Provo. If you want to torture me, put me in meetings where people talk a lot but there is no resolution or action at the end. OH JUST THINKING ABOUT IT MAKES ME TYPE IN ALL CAPS WITH EMOTION. I started making a mental list of all the people I would put on a committee if I really wanted to change downtown. I came up with a dream team of artists, organizers, chefs and musicians. I thought about Sarah Wiley, Justin Hackworth, Mindy Gledhill, Andy Gartz and Colton Soelberg (who was already involved at that point). 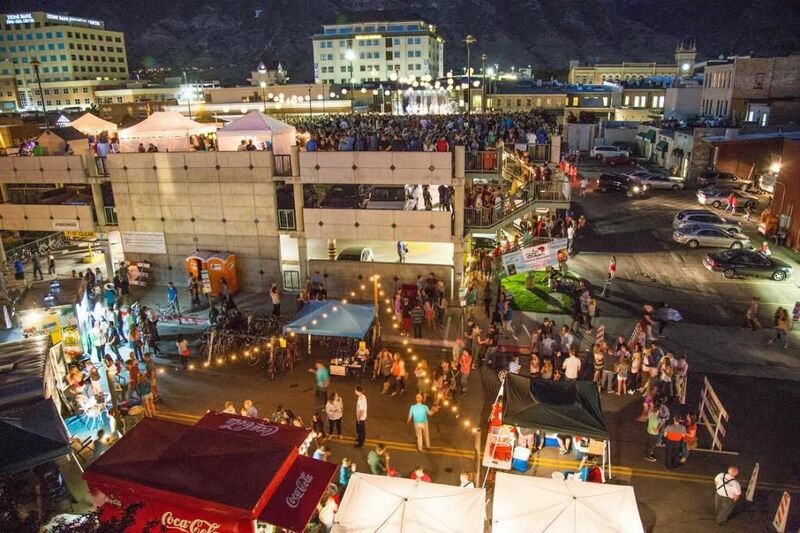 I don't know what I thought would happen, but it occurred to me that all those people in one room could probably come up with a really progressive, thoughtful, exciting plan to change downtown Provo from ghost town to vibrant destination. 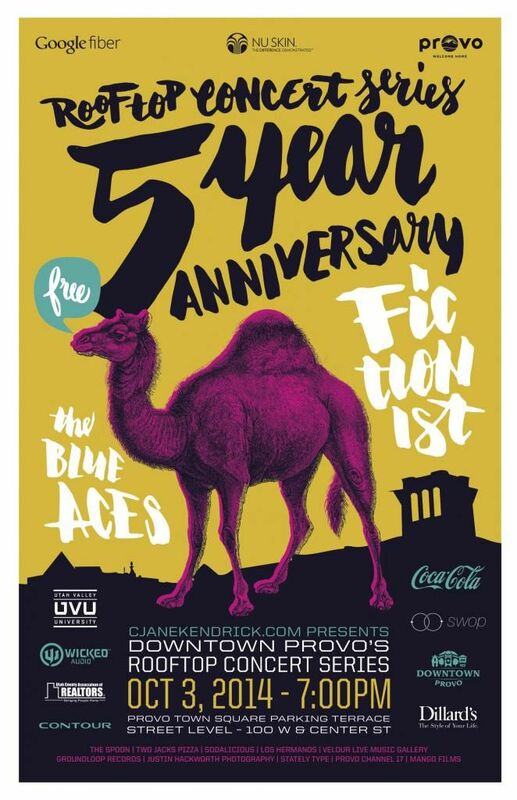 Yesterday I am sitting in the mayor's office (as I do from time to time) and he's telling me that this concept we came up with has had a massive effect on downtown Provo as well as Provo City. It's been integral, he tells me, to the successful energy we're running on around here. Of course, we've had so much help. Many, many people and organizations have stepped in to make this concept become what it is today. But every time I am asked how it all got started I have this flashback to the stoplight and a tiny day dream I had about getting together my favorite Provoans for a good cause. We anticipate the party to be so huge we're actually going to move it off of our Rooftop location, on to Center Street on the plaza in front of Nu Skin. The street will be blocked off from University to Second West. That should tell you something, we mean for this to be big. So please come. Come. Come and help us celebrate this massive success. And let us thank you for being a part of it. It's free. And I will be your host. As always. *Poster designed by David Lesue of Stately Type.